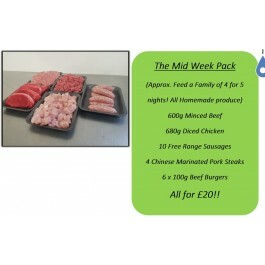 Feed the family throughout the week with our Mid Week Pack! Based on a family of 4, for 5 nights. 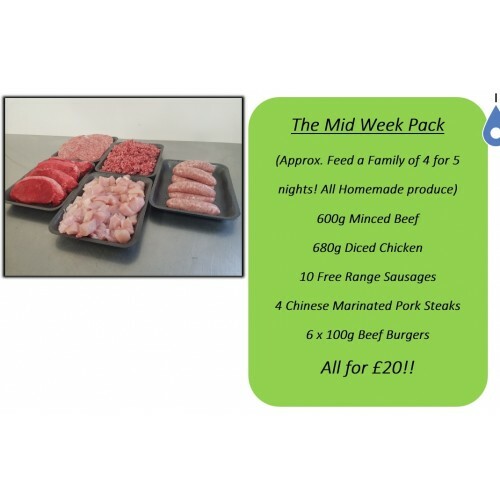 600g Minced Beef, 680g Diced Chicken, 10 Free Range Sausages, 4 Chinese Marinated Pork Steaks and 6 100g Homemade Beef Burgers.